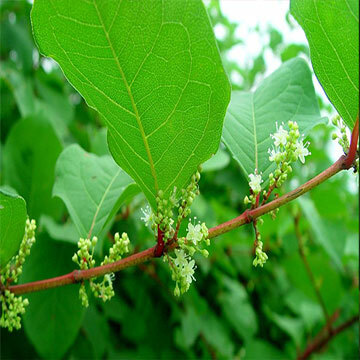 Giant Knotweed Extract is also called Resveratrol. It belongs to a class of polyphenolic compounds called stilbenes, which is extracted from the root and stem of Polygonum cuspidatum Sieb. et Zucc.. Pharmacological researches indicate that Resveratrol has the effects of anti-inflammation, anti-bacteria, antioxidation and anti-cancer, etc.